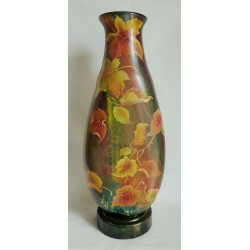 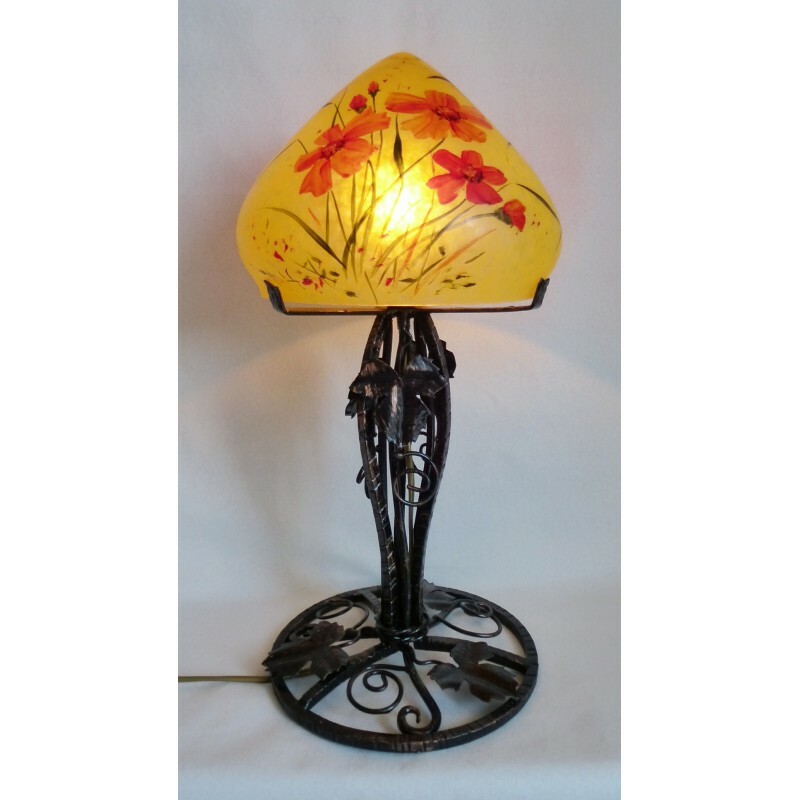 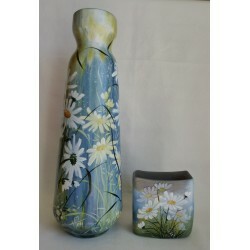 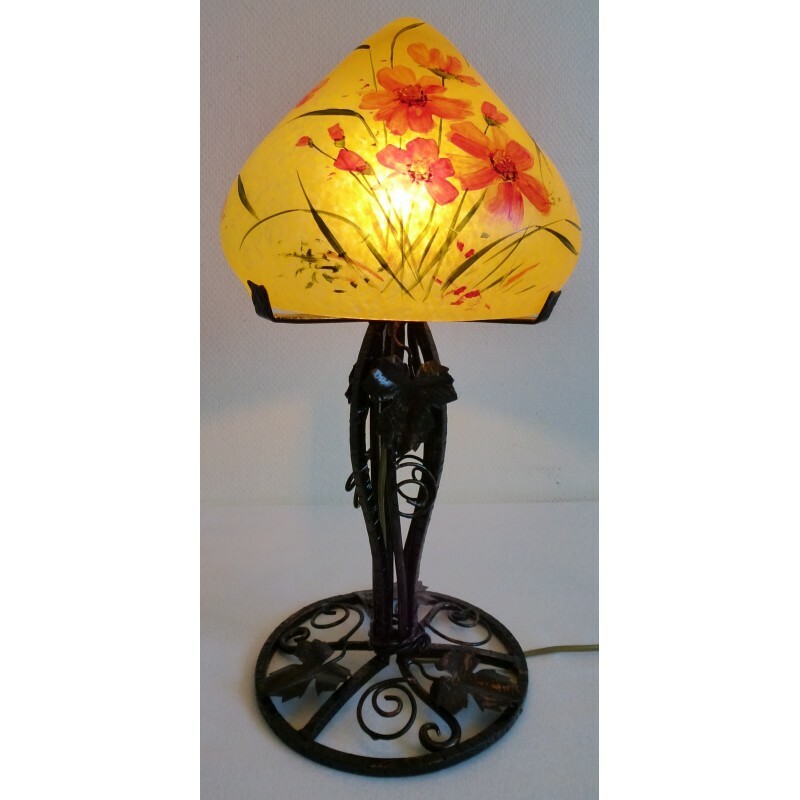 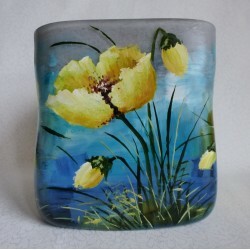 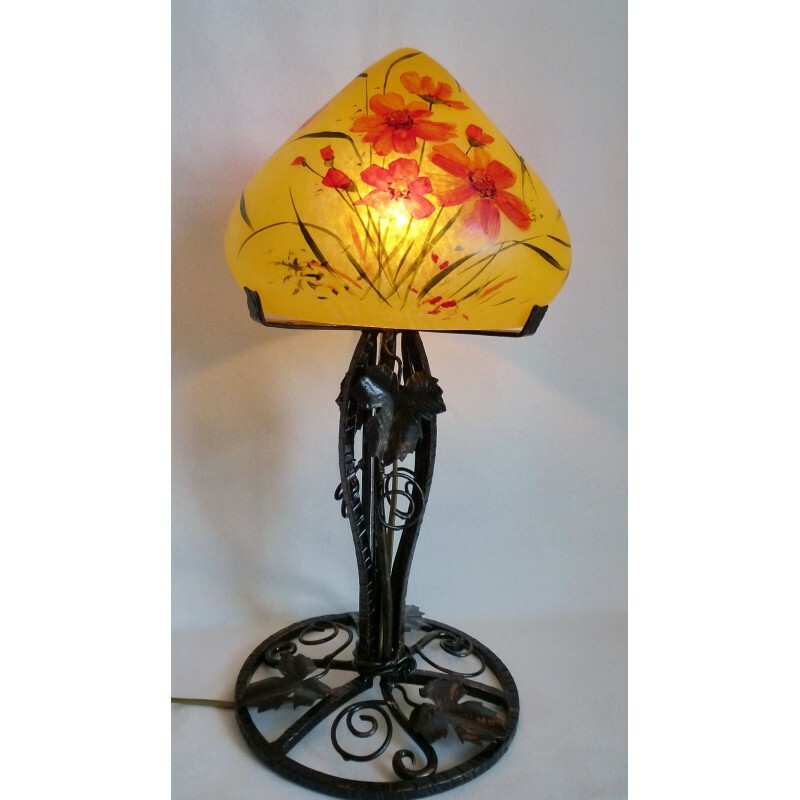 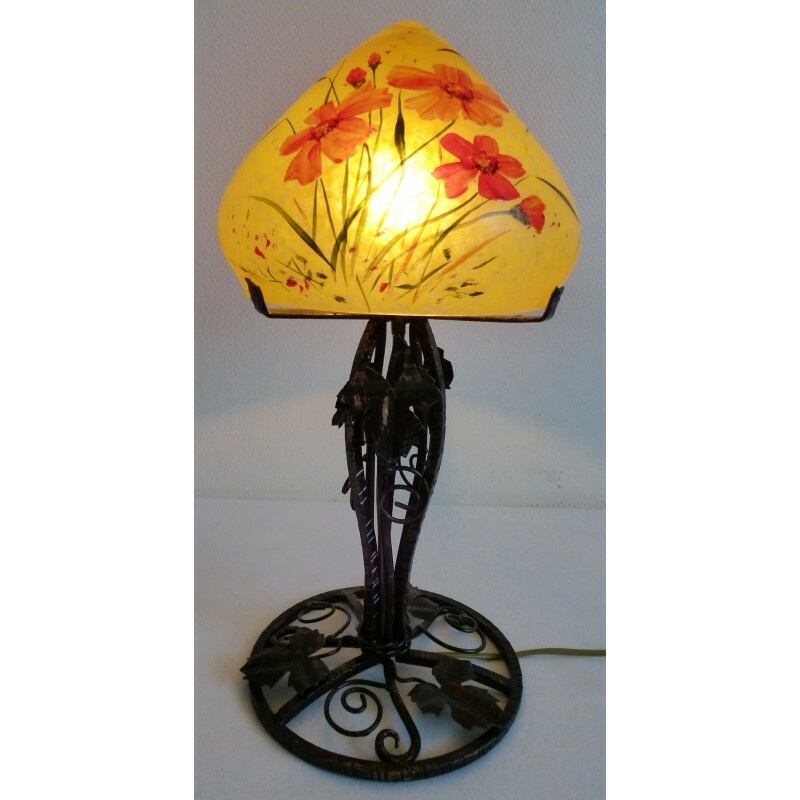 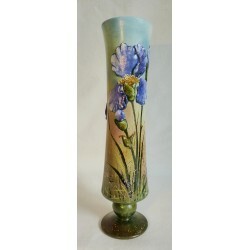 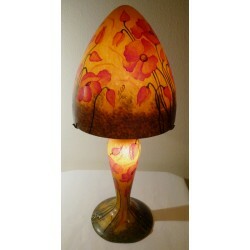 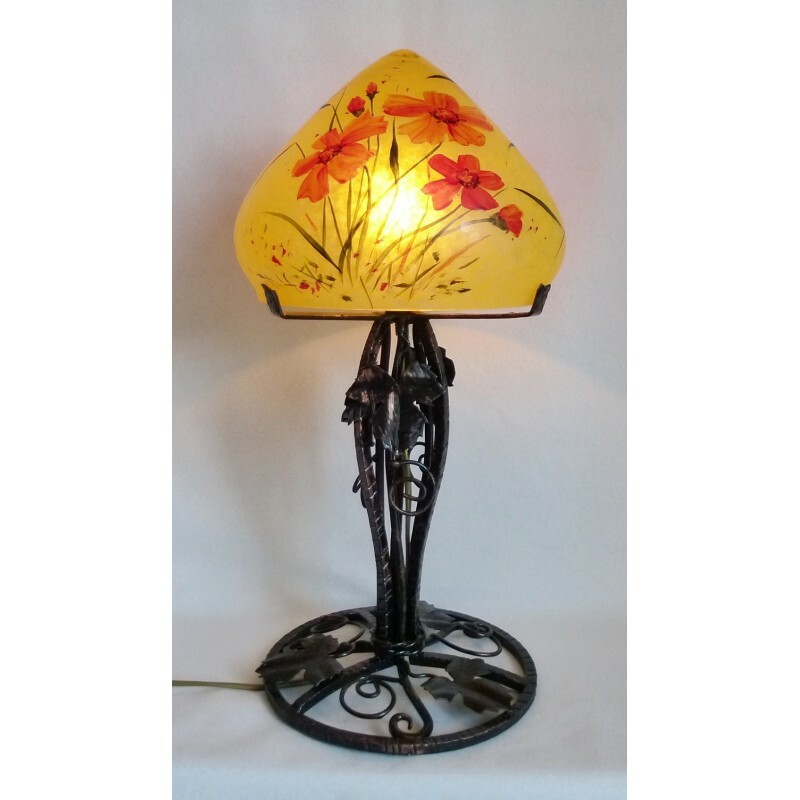 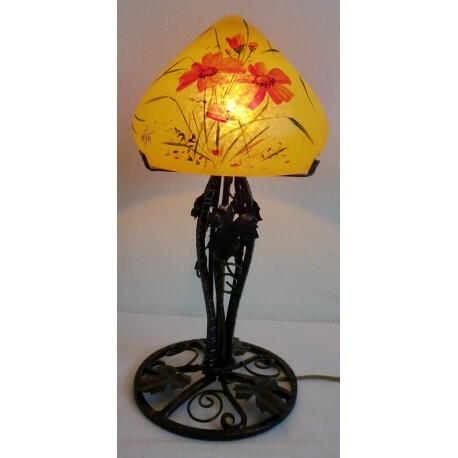 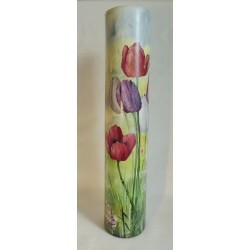 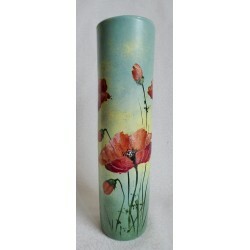 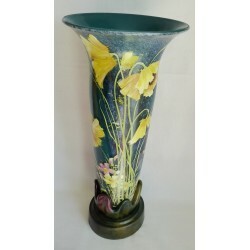 The lamp presents wild flowers delicately painted on an ocher background. 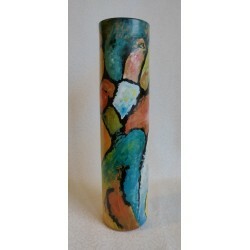 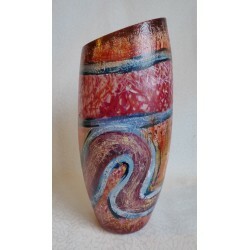 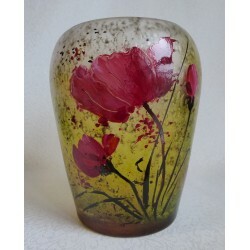 It is a refined, elegant work of art inspired from nature, which it invites to our homes. 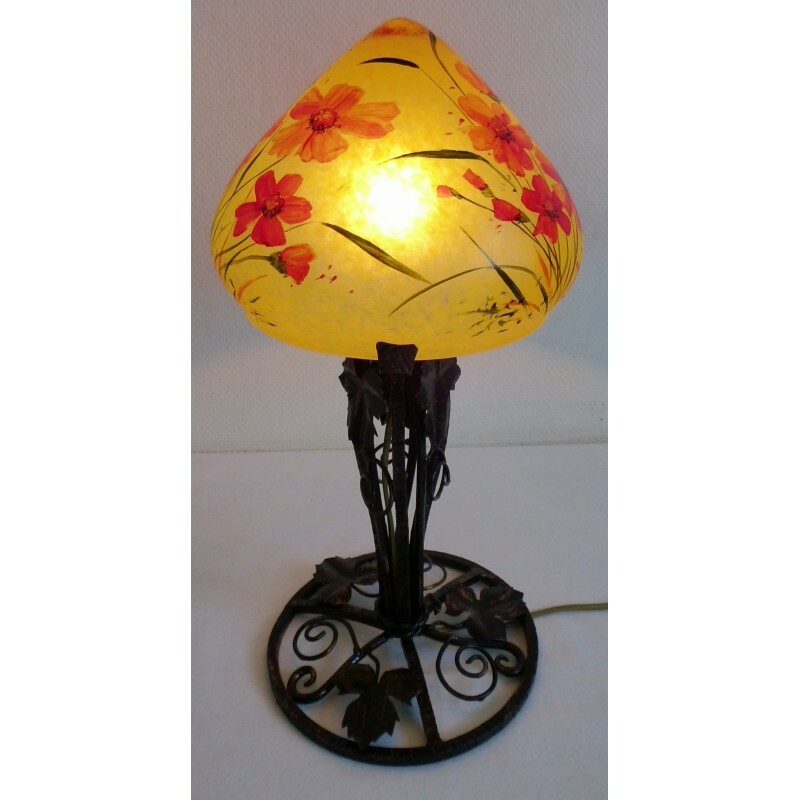 This lamp is made of individually mouth-blown frosted glass, the glass being masterfully tinted while still being hot by glass-makers with a large expertise. 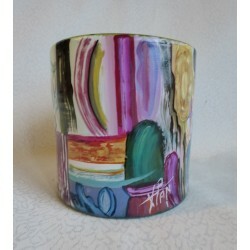 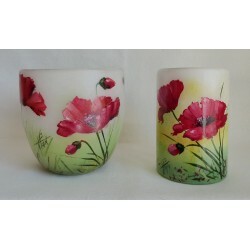 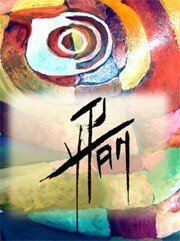 It is delicately entirely hand-painted with a special technique in the style of stained glass, signed by the artist Viorel Panait. 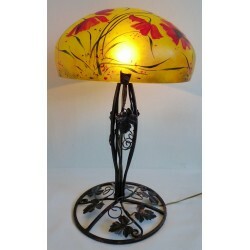 It consists of 3 parts: the lamp-shade, the foot and the metal stand (wrought iron in the classical style). 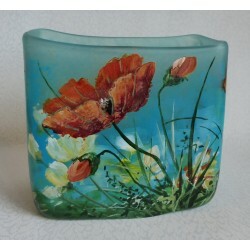 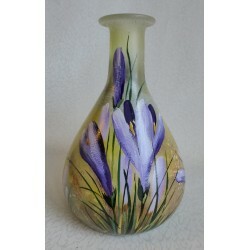 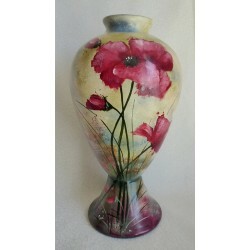 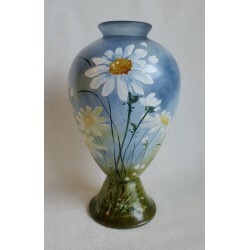 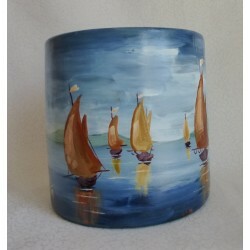 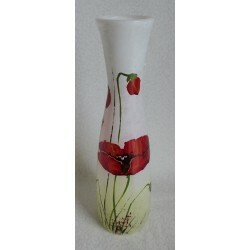 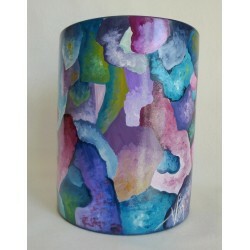 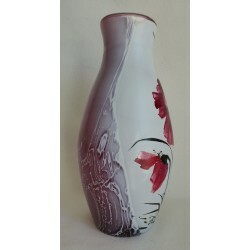 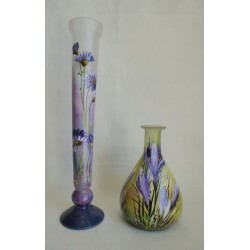 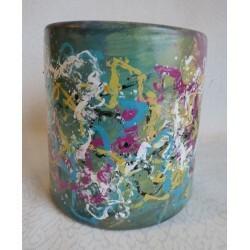 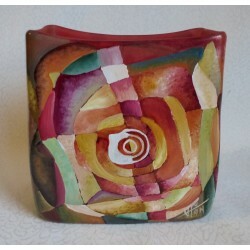 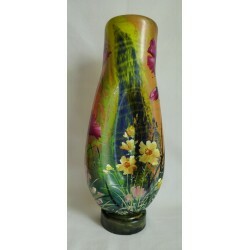 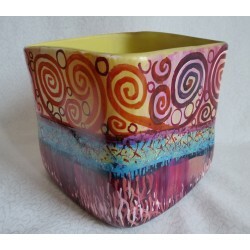 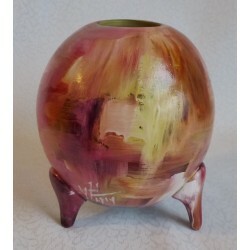 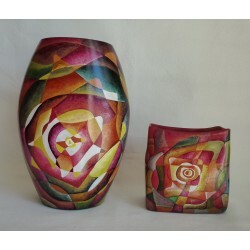 Dimensions: height 45 cm, maximum diameter of the lamp-shade: 22 cm, thickness of glass: 0.5 cm. 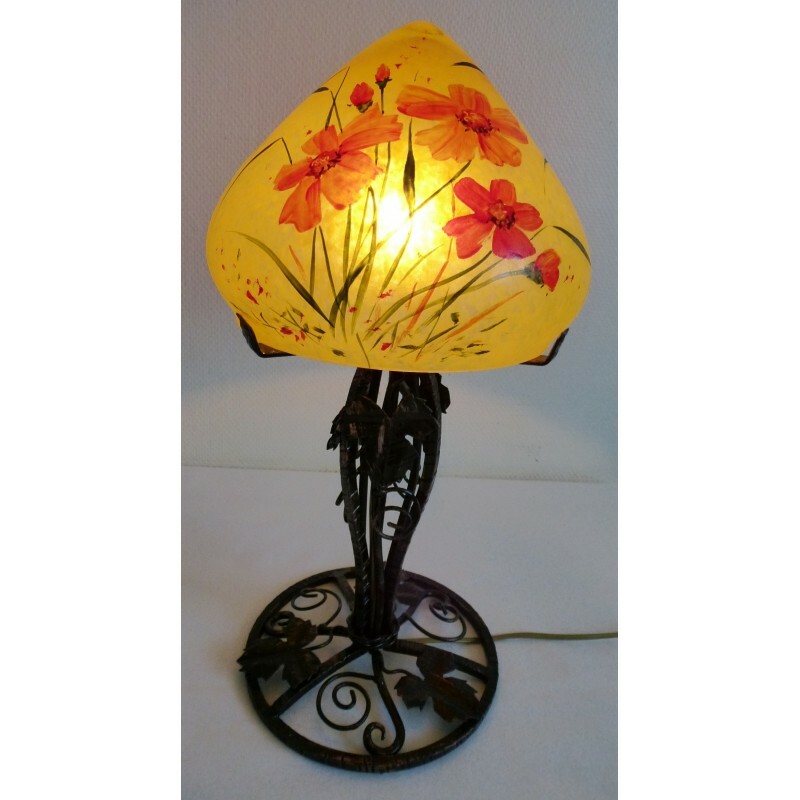 It works with 2 7-watts bulbs (bulbs included). 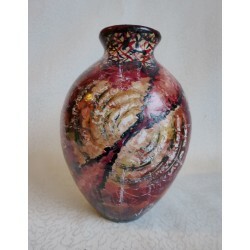 It is a high quality unique work of art.